According to Bloomberg, the struggling retailer, which is facing the risk of a bankruptcy filing in the not-too-distant future, will also stop selling furniture as part of its latest inventory overhaul. Though regular shoppers will be relieved to know that JCP will continue to sell clothes. The decision to drop appliances marks the undoing of one of the signature strategies of one of Soltau's predecessors, Marvin Ellison, who led the department store into the appliance business in 2016in an attempt to fill the void left by Sears after it sold off its Kenmore brand. However, the plan achieved less-than-stellar results, and Ellison unexpectedly quit JCP last year to join Lowe's. Since her arrival at the company in mid-October, Soltau has been struggling to streamline operations at the 116-year-old retailer, mostly by dropping poor-selling inventory and closing poor-performing stores. As the company revealed in a statement announcing the reorganization, the decision to drop appliances will help the company "better meet customer expectations" and "improve financial performance." 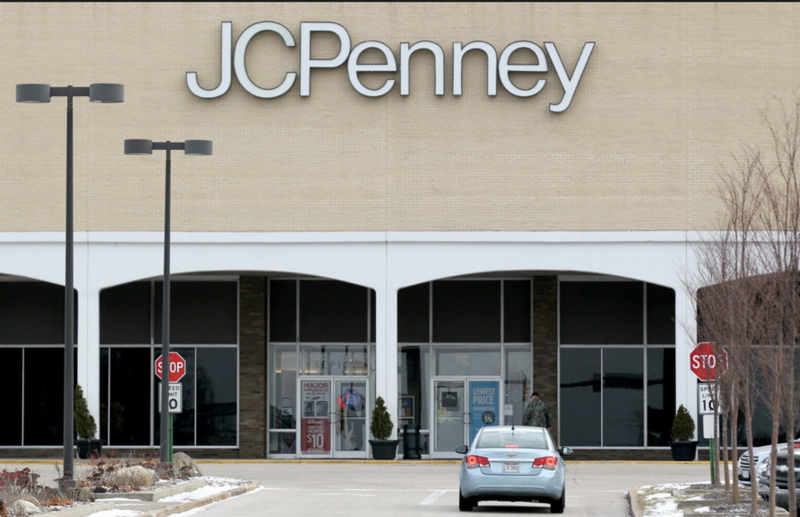 JCPenney has made the decision to discontinue selling major appliances effective Feb. 28 in order to better meet customer expectations, improve financial performance and drive profitable growth. Additionally, furniture will only be available at jcp.com and select Puerto Rico stores. While configurations vary by store, we are finalizing new layout options, including the reduction of store space previously dedicated to appliance and furniture showrooms to maximize efficiencies, reduce inventory and create an enhanced shopping experience that inspires repeat shopping trips. Optimizing the allocation of store space will enable us to prioritize and focus on the Company’s legacy strengths in apparel and soft home furnishings, which represent higher margin opportunities. Just as JC Penney delved into appliances, the space was suddenly flooded with new offerings as Home Depot, Lowe's, Bloomingdale's did the same. During the retailers' most recent conference call, JCP's head of investor relations said appliances were one area that underperformed in November. Trent Kruse, J.C. Penney’s head of investor relations, said on a conference call with analysts in November that appliances were among product categories that underperformed in the third quarter. 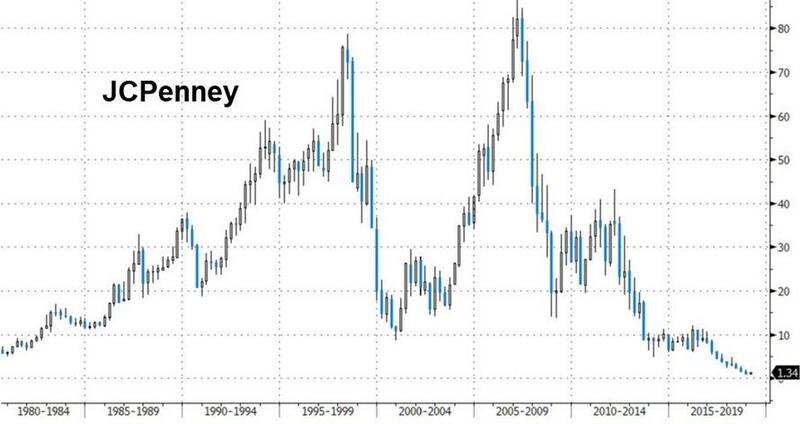 J.C. Penney shares fell 1.9 percent to $1.33 at 11:01 a.m. in New York. The stock has dropped 21 percent since Oct. 15 when Soltau came on as CEO. Same-store sales, a key gauge of a retailer’s health, slumped 5.4 percent in the three months that ended Nov. 3, far worse than the 0.8 percent decline projected by analysts. The cuts come as JCP's shares trade below $1.50 a share. As e-commerce accrues an ever-larger share of retail sales, one Bloomberg columnist argued in a recent column that JCP should focus on store closures because the US market is "over-stored" thanks to the high ratio of retail square footage per capita. 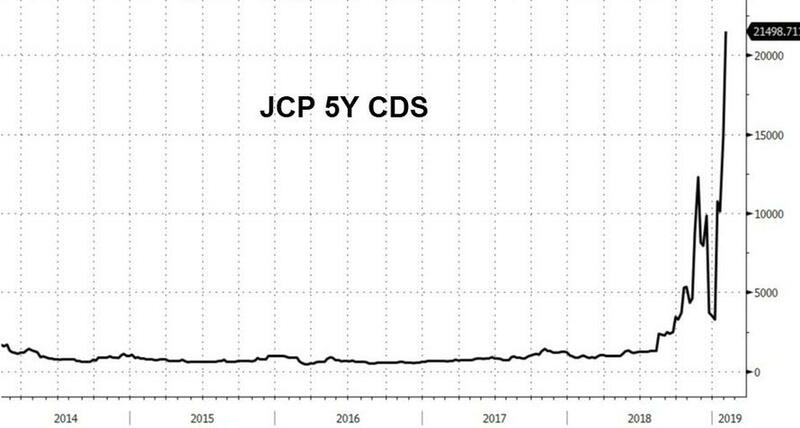 And insurers are charging a heavy premium to insure JCP's debt. But as Amazon continues to dominate, and the malls where many JCP outlets are located continue to struggle with declining foot traffic, investors will almost inevitably ask: Will these measures be enough?